ST. MARYS — A trio of Elk County Catholic cagers matched Curwensville’s offensive output to key a 67-38 win in an important Allegheny Mountain League cross-over game Tuesday night. Brandon Schlimm paced the Crusaders with 14 points, while Ivan Wortman and Cory Huff added 13 and 11, respectively. The Golden Tide, which fell to 2-2 in the AML South Division and 6-3 overall, got 14 points from Tanner Elensky and 12 from Brett Gardner. “We just didn’t play real well,” Curwensville coach Shane Pentz said. “They actually had a 20-point lead in the second quarter, and we cut it to 11 and seemed to have some momentum going into the second half. The Crusaders, 10-2 with a 5-1 AML North record, carried a 24-point advantage into the fourth period. Elk County Catholic won the junior varsity game 47-37. Curwensville swings back into the Moshannon Valley League on Thursday, traveling to Flinton to take on Glendale. Brett Gardner 5 1-2 12, Kyle Johns 3 0-0 6, Tanner Elensky 5 3-4 14, Trey Rauckhorst 1 1-2 3, Alex Olson 1 0-0 2, Austin Jacobson 0 1-2 1, Jake Terry 0 0-0 0, Alex Hill 0 0-0 0, Nate Kurtz 0 0-0 0, Jason Thorp 0 0-0 0, Bryce McClure 0 0-0 0. TOTALS: 15 6-10 38. John Kaul 2 0-0 5, Luke Krause 0 2-2 2, Mitchell Struble 3 1-2 8, Ian Herzing 1 0-0 2, Brandon Schlimm 6 0-0 14, Colton Lecker 3 2-2 8 , Dan Singer 1 1-2 3, Ivan Wortman 5 1-2 13, Cory Huff 5 1-1 11, Andrew Gebauer 0 1-2 1. TOTALS: 26 9-13 67. 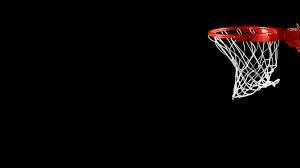 Three-Point Field Goals – Curwensville 2 (Gardner, Elensky); Elk County Catholic 6 .